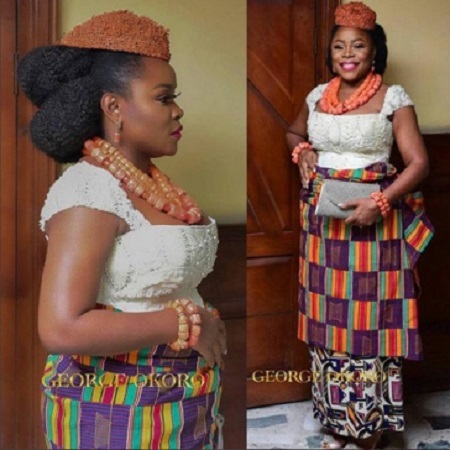 It has been confirmed that the traditional wedding of musician Omawumi is holding today in Warri, Delta state. Congratulations are in order for Nigerian musician, Omawumi as marries she finally marries her heart rob, Tosin Yusuf traditionally at her hometown in Warri, Delta state. The traditional wedding is already taking place now. Her close friend and fellow musician, Waje took to social media to share the photos. "It's really an emotional day for me! My wonder geh! It would be recalled that the singer had in January 16, 2015 at Ikoyi Registry, Omawumi married Yusuf. They have two kids. How to Stop a Heart Attack in 60 Seconds- This Is a Very Popular Ingredient! Copyright© 2019 Nigeria Newspaper.All Right Reserved.